A great cup of coffee, one that is truly memorable, takes a whole team of professionals to produce from farmers to roasters, to the person brewing and serving. Our ultimate mission is to make the work of all those professionals shine. We are more than the alchemists behind a roaster transforming green seed to roasted bean; we work directly with farmers and importers to grow and choose higher quality coffees. We work with vendors and equipment manufacturers to equip the spaces who stock our products. We come alongside your team to help train and guide you toward sharing amazing coffee with your customers. We don’t settle, we’re never satisfied with our own achievements, and we work tirelessly to ensure that you have the same tools and knowledge that we do so you’re empowered to serve your customers with an incredible experience over and over again. To learn more, click the button below and tell us more about what kind of coffee program you’re dreaming up. We’re excited for the opportunity to work with you! Do you have a start date in mind? Thanks, so much! We’ll reach back out as soon as we can! We’re looking forward to talking more and learning about your business! The vision is in place, resources are coming together, and the dream of opening your business is becoming reality. As excited as you are about everything, there are still some pieces that are unfinished and it feels a little overwhelming. We've been there and have learned plenty of valuable lessons over the years working in our industry. We are available as a resource for you to setup your coffee program for success from the very beginning. Your coffeehouse needs to be built around your vision, and we come alongside you to help make that happen. Every great coffee shop revolves around great equipment. 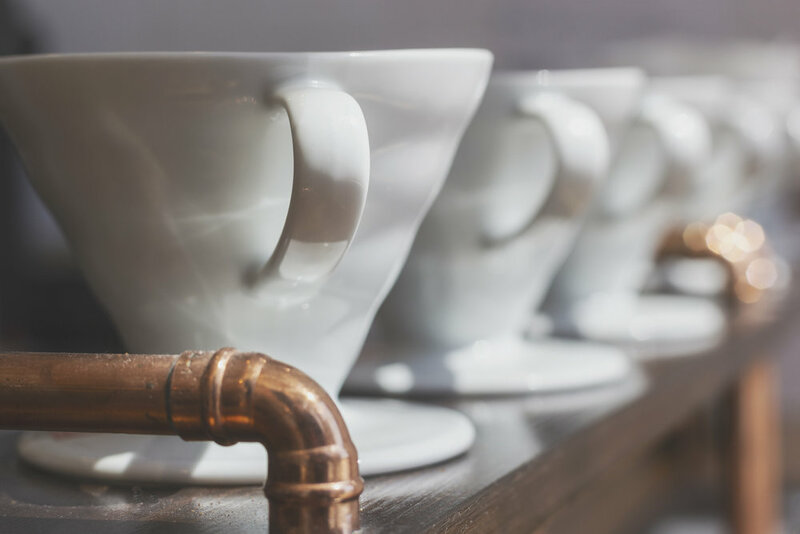 Your espresso machine and brewers are the cornerstones of your financial success as the majority of your customers are coming in to enjoy a drink made on one of these machines. Beyond that, though, the equipment you choose for your space can become familiar parts of the experience, landmarks for memories you and your customers create there. At Deeper Roots, we have extremely high standards when it comes to the brands and manufacturers we distribute and service for our wholesale partners. Beautiful, high quality machines enable baristas to consistently prepare the best possible drinks. Yes, there are a lot of choices, but we’re here to make sure you have all of the information necessary to make the right choice for you, your team, and your business. 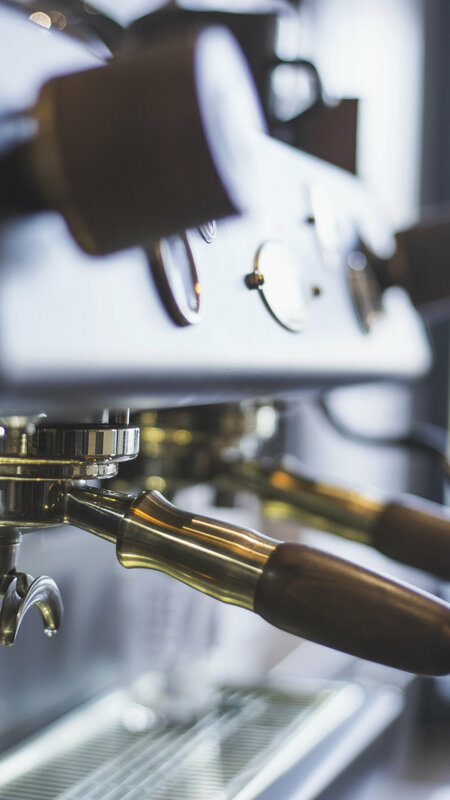 As a wholesale customer our tech service resources are always at your disposal to keep your equipment running well so you can focus on serving delicious drinks to your customers. As coffee lovers and ever-curious baristas, we have always been passionate about honing our craft and sharing that love with as many people as possible...especially our wholesale partners. When you train with us, we walk you through everything from the basics of coffee farming & processing, cupping & how to taste coffee, brewing methods, espresso & milk preparation, latte art, and optimizing the flow of your specific bar. Our education team offers structured beginners classes, as well as regular advanced training sessions for your team to continue their education and growing their skillsets. We’re flexible and can cater the particular training points your team needs, but our approach stays the same: to be good for your people.